Facial Rig on Demand automatically generates a FACS facial rig with up to 236 blendshapes. It is perfectly adapted to the specific topology and morphology of any 3D character, whether it’s a scanned head, a photorealistic 3D model or a cartoonish character. Flexible, robust and easy to use, our facial rig is compatible with Maya, Unity and Unreal. It will smoothly incorporate any precomp or real-time animation, no matter the modeling style or the animation technique. To automatically get a FACS facial rig for any character, simply purchase this service, upload your 3D model and download the result! How does this automatic facial rigging work? Facial Rig on Demand is a service which automatically creates a high quality FACS face rig for Maya. It is fully automatic, contrary to semi-automatic rigging (often called auto-riggers) tools which must be manually set up. Thanks to this powerful service, receive a complete rig with a single click! Our service will fit in your pipeline whether you are working on precomp 3D animation, real-time or interactive cross-platform applications. It is also compatible with any animation approach (keyframes, MoCap, video tracking, etc.) and retargeting software. Facial Rig on Demand works for any type of 3D character regardless of its morphology, whether it’s a scanned head, a photorealistic head model or a cartoonish character. It preserves the user's topology and fits perfectly within any 3D pipeline. Our FACS blendshapes are directly issued from the analysis of scanned expressions, covering the full spectrum of facial muscular deformations, visemes and emotions, and guaranteeing consistent geometric displacements without any skin sliding effects. Our controllers can handle a great deal of fine-tuning. You're free to adjust the expressions on the blendshape nodes, on the mapped controllers or on the bones driving separated elements. Delivered face expressions are perfectly adapted to the specific topology and UV of your 3D model. Facial Rig on Demand can be included directly into your character pipeline and won't require any further adjustment on your end. You can now easily share high-quality facial expression between large numbers of 3D characters, allowing you to use a wide range of 3D face animations without any manual intervention! All you have to do is purchase this service and upload your 3D model. 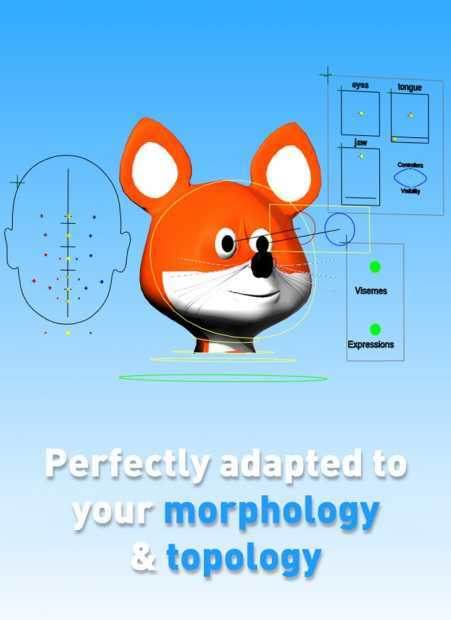 You will then automatically get it back within 24 hours fully rigged, with the complete set of blendshapes, directly transferred onto your mesh and perfectly adapted to the morphology of your character. What files do I receive form Polywink's Facial Rig on Demand? The standard package is a Maya scene which contains our FACS face rig along with 52 or 236 blendshapes across a wide range of facial expressions. What are the two "Facial Rig on Demand" options ? - "Standard" is for animations which don't need such a high level of details and includes 52 Blendshapes at $499. What should I upload if I want to use Polywink's Facial Rig on Demand? A 3D head model with a neutral pose (eyes open and mouth shut) and two additional elements: eyes and inner mouth (teeth, gum, tongue). If you want to send a full body character, please contact us in advance so that we can ensure that everything is compatible. 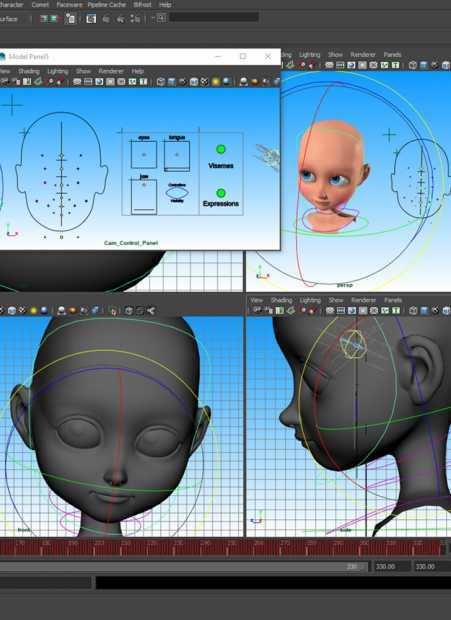 This datapack sample includes 2 Maya scenes, each containing a head model. One with 52 blendshapes, the other with 236 blendshapes of our photoreal virtual model Louise, both with facial rig. Download it now to try out our Rig on Demand service!